During my time as a vegan we switched over to cooking with either earth balance or coconut oil. 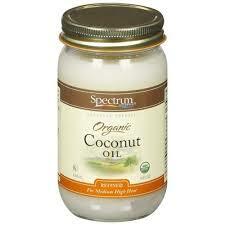 The coconut oil is useful stuff, but it does taste and smell a little of coconuts. Don’t let that put you off, it’s great stuff for cooking. For baking it keeps what ever your cooking more moist. We started using it before I went vegan for lent, and chicken it turns out cooks really well in coconut oil. I think this is because it’s a solid at room temperature and doesn’t cook off all that fast. It works for pan frying and stir frying. 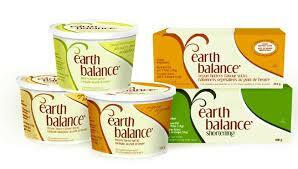 Earth Balance works better if you want a little butter flavor in what you’re cooking or if you loathe coconut. When we had guests that were a little bit anti coconut, I’d usually cook with earth balance. Since, I also like toast and jam, this worked pretty well. My wife actually liked it better than butter because it spreads easier. All in all, these are great butter alternatives to use, and they cost about the same and they aren’t chocked full of chemicals like margarine. Things to be careful of: A lot of the olive oil products like fleischmann’s olive oil contain some butter and aren’t vegan friendly. So, it is perhaps a little healthier than pure butter, but it is not vegan. Read the labels carefully. This entry was posted in Uncategorized and tagged balance, butter, coconut oil, earth, fleischmann's, oil, olive, replacement, substitute, Vegan, vegetarian. Bookmark the permalink.